A UNIQUE comedy show will be coming to the Palace Theatre to make people more aware of mental health issues. 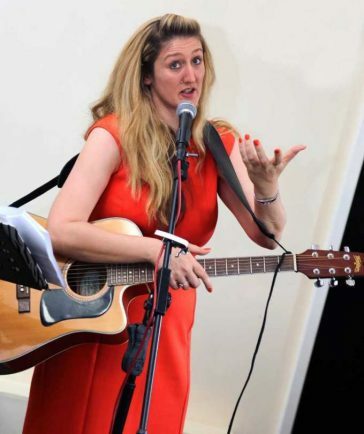 Mental health counsellor and stand-up comedian Sheila McMahon is returning to Redditch, where she will perform her comedy show focusing on channeling anger issues. Originally from the west of Ireland, Sheila, who now lives in Tamworth, said: “I have been doing stand-up comedy for ten years now and I still find it amazing how comedy and mental health are linked. “With mental health being such a serious issue, comedy can act as a coping mechanism for people of any age. “I look forward to performing at the Palace as the support I get from the Redditch audience is absolutely fantastic. Sheila is also in the process of writing content for a series of online mental health shows which aim to build more awareness among young people about the issue. Sheila’s show, The Anger Cushion, will take place at the Palace Theatre on Saturday September 16 at 7.45pm.